Click here to read my story ‘The Embrace’ from the Autumn 2011 issue of The Southern Review. 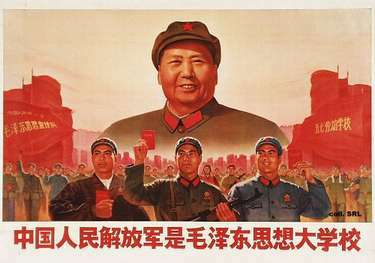 I have a new piece on the LRB Blog on Chinese propaganda comics from 1950 that some have used to critique modern China. The only thing I’d add to what I say there is that to argue that China has gone back in time is overlook the many achievements made by the PRC, albeit sometimes at catastrophic cost to its people. Despite the apparent similarities, the problems of contemporary China are those of a very different kind of society and system. The first prize I ever won was for English at school. I was given £15 of book tokens, with which I bought all the volumes of Steve Jackson’s Sorcery!Quartet. 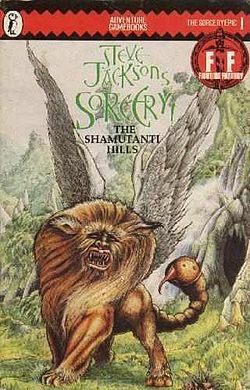 ‘The Shamutanti Hills’ is a quest through a fantasy world in which magic and might are required to defeat various monsters and obstacles. This requires good judgement and a lot of luck, the latter generated (or not) by rolling two six-sided dice. Unsurprisingly, the reader fails (and dies) many times and has to start again. Neither ‘The Shamutanti Hills’ nor its successor, ‘Khare- Cityport of Traps’ were on the school syllabus, despite their excellent spell casting system and well-pitched level of difficulty. During the prize-giving ceremony it became apparent that I was the only winner to have bought such books. The other pupils had purchased encyclopaedias, advanced math textbooks, bilingual dictionaries that required a two-handed grip. When the headmaster- a kind man with a degree in Classics from Oxford –handed me the brightly coloured fantasy books, he was obviously disappointed. Until that moment it had never occurred to my nine-year old self that with rewards might also come expectations. This episode taught me that sometimes you have to conceal the things you enjoy, and not because they are illegal or immoral, but because they don’t fit with people’s conceptions of you. But I think it also had a hand in teaching me that things we expect to wholly enjoy are often a more mixed affair. Awards require speeches; fondue parties can drag; many cherished fantasies end in discomfort and hospitalisation. I wouldn’t go so far as to label this a depressive or melancholic worldview; but it’s one that definitely looks for the grey in every silver cloud. This also extends to compliments (especially about my writing). What should be a form of validation just makes me feel awkward. ‘Thank you,’ doesn’t seem an adequate response, but I can never tell what else the person might expect to hear, whether they want me to talk about the story, say something about my work in general, or ask them something about themselves: I have so little idea of which would be right that I might as well roll a dice to choose. Though this is true of any encounter, the person’s kindness makes me want to give an answer they’ll appreciate, and there are just those two or three seconds in which to speak, and if I fail, there’s no chance to start again. So when I received a phone call informing me I had been awarded a Robert Louis Stevenson Fellowship, I was slightly taken aback. Matters weren’t helped by me mistaking the voice of the woman asking if I was Nick Holdstock. I leapt to the conclusion that she was my mother, causing me to say ‘Mum? Is that you Mum?’, which caused equal confusion in her. She mastered hers more quickly and went on to say that all I had to do was decide when to go to Grez sur Loing (the small village 70km southeast of Paris where RLS fellows have been going since 1994). Feeling that more than simple gratitude was required, I replied by saying it was by far the best news I’d had in a really long time. This disclosure elicited a pause, perhaps of pity, for either the sentiment, or that I had been compelled to express it. Though my answer might have suggested desperation, it was mainly borne of surprise. Like many artists, I’m constantly applying for fellowships, bursaries and grants; given the huge impact these can have on one’s professional life (often determining what you have to do to make ends meet), it is with more than a small amount of expectation that you await the verdict. During this period it’s easy to find oneself performing tricks of mental sleight of hand. You tell yourself that although you deserve it, and are good enough, there are many reasons why you might not get it. You tell yourself that the outcome is at least partly due to chance. Or you do the same as the subject of Lydia Davis’s short story, ‘The Fellowship’, in which two reasons are posited why the subject of the story, year after year, does not get the award: one that the person is qualified, but his/her ‘application is not good enough’; the other that the applicant is qualified ‘but not patient enough.’ If the results arrive, and one is rejected, there is thus an embarrassment of explanations to choose from, certainly no need to doubt that one’s application might have failed for reasons that the subject of Lydia Davis’s story does not even consider. Receiving a prize or award raises an opposite, almost equally terrifying possibility: that with sufficient time and space you might actually produce something good. Having to work several jobs, or go to fondue parties, is something I have often bemoaned, both for the interruptions to work and my sang-froid (and I cannot write with burned lips). Being given a month in which to do nothing but write and eat cold French cheese was in many ways an answer to my moans. However, after the initial I-want-to-dance-till-I’m-dead euphoria had cleared, there was the worry of whether all the time and lack of interruption would actually make a difference. 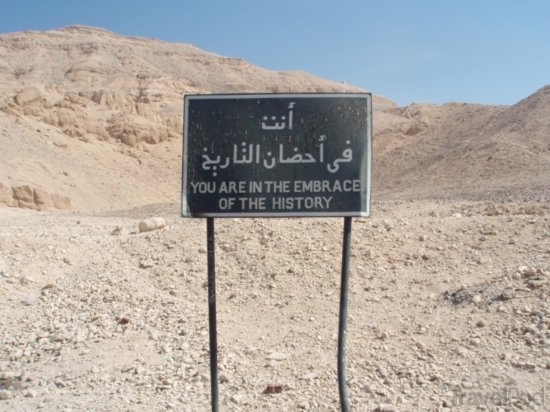 Perhaps I would be prey to all the clichéd monsters of distraction: the ‘fact-checking’ that leads to ‘research’, the many links that can be clicked, so that one wanders, as if blindfolded, through the great labyrinth that is the Internet. Either that or I’d be fighting my way through Sorcellerie! My productivity has not been due to the lack of possible distractions. I could have followed the river Loing through the woods for hours, pursued the mysteries of the village— who left the decapitated snake outside the bakers? ; what is really happening in the ‘vaccination centre’ where lights burn all night? —or indulged in the all too easy business of writing about the foibles of the other artists in residence. But the latter are kind and welcoming people, and it has rained most days. As for the unexplained events in the village, I know better than to pry in rural matters. I have lost too many kin in the dark woods of East Sussex (in their own way as perilous as the Hills of Shamutanti) to think otherwise. But I think there’s a far simpler reason I’ve found it easy to work here. I hesitate to name it, but it can perhaps be found in watching the angles the swallows turn as they approach their nest. Or in the bullying tactics of the white dove that squats on top of the roof. It’s in the sound of the trees and hearing people joke in languages I do not understand. To say it stems from the removal of pressure is to approach the truth: but I don’t know if ‘expectation’ has an antonym.